I suppose I am not the first Nobelist who, on the occasion of receiving this Prize, wonders how on earth, by what strange alchemy of family background, teachers, friends, talents and especially accidents of history and of personal life he or she arrived at this point. I have browsed in previous volumes of “Les Prix Nobel” and I know that there are others whose eventual destinies were foreshadowed early in their lives – mathematical precocity, champion bird watching, insatiable reading, mechanical genius. Not in my case, at least not before my late teens. On the contrary: An early photo of my older sister and myself, taken at a children’s costume party in Vienna – I look about 7 years old – shows me dressed up in a dark suit and a black top hat, toy glasses pushed down my nose, and carrying a large sign under my arm with the inscription “Professor Know-Nothing”. Here then is my attempt to convey to the reader how, at age 75, I see my life which brought me to the present point: a long-retired professor of theoretical physics at the University of California, still loving and doing physics, including chemical physics, mostly together with young people less than half my age; moderately involved in the life of my community of Santa Barbara and in broader political and social issues; with unremarkable hobbies such as listening to classical music, reading (including French literature), walking with my wife Mara or alone, a little cooking (unjustifiably proud of my ratatouille); and a weekly half hour of relaxed roller blading along the shore, a throwback to the ice-skating of my Viennese childhood. My three daughters and three grandchildren all live in California and so we get to see each other reasonably often. I was naturalized as an American citizen in 1957 and this has been my primary self-identity ever since. But, like many other scientists, I also have a strong sense of global citizenship, including especially Canada, Denmark, England, France and Israel, where I have worked and lived with a family for considerable periods, and where I have some of my closest friends. My feelings towards Austria, my native land, are – and will remain – very painful. They are dominated by my vivid recollections of 1 1/2 years as a Jewish boy under the Austrian Nazi regime, and by the subsequent murder of my parents, Salomon and Gittel Kohn, of other relatives and several teachers, during the holocaust. At the same time I have in recent years been glad to work with Austrians, one or two generations younger than I: Physicists, some teachers at my former High School and young people (Gedenkdiener) who face the dark years of Austria’s past honestly and constructively. On another level, I want to mention that I have a strong Jewish identity and – over the years – have been involved in several Jewish projects, such as the establishment of a strong program of Judaic Studies at the University of California in San Diego. My father, who had lost a brother, fighting on the Austrian side in World War I, was a committed pacifist. However, while the Nazi barbarians and their collaborators threatened the entire world, I could not accept his philosophy and, after several earlier attempts, was finally accepted into the Canadian Infantry Corps during the last year of World War II. Many decades later I became active in attempts to bring an end to the US-Soviet nuclear arms race and became a leader of unsuccessful faculty initiatives to terminate the role of the University of California as manager of the nuclear weapons laboratories at Los Alamos and Livermore. I offered early support to Jeffrey Leiffer, the founder of the student Pugwash movement which concerns itself with global issues having a strong scientific component and in which scientists can play a useful role. Twenty years after its founding this organization continues strong and vibrant. My commitment to a humane and peaceful world continues to this day. I have just joined the Board of the Population Institute because I am convinced that early stabilization of the world’s population is important for the attainment of this objective. After these introductory general reflections from my present vantage point I would now like to give an idea of my childhood and adolescence. I was born in 1923 into a middle class Jewish family in Vienna, a few years after the end of World War I, which was disastrous from the Austrian point of view. Both my parents were born in parts of the former Austro-Hungarian Empire, my father in Hodonin, Moravia, my mother in Brody, then in Galicia, Poland, now in the Ukraine. Later they both moved to the capital of Vienna along with their parents. I have no recollection of my father’s parents, who died relatively young. My maternal grandparents Rappaport were orthodox Jews who lived a simple life of retirement and, in the case of my grandfather, of prayer and the study of religious texts in a small nearby synagogue, a Schul as it was called. My father carried on a business, Postkartenverlag Brueder Kohn Wien I, whose main product was high quality art postcards, mostly based on paintings by contemporary artists which were commissioned by his firm. The business had flourished in the first two decades of the century but then, in part due to the death of his brother Adolf in World War I, to the dismantlement of the Austrian monarchy and to a worldwide economic depression, it gradually fell on hard times in the 1920s and 1930s. My father struggled from crisis to crisis to keep the business going and to support the family. Left over from the prosperous times was a wonderful summer property in Heringsdorf at the Baltic Sea, not far from Berlin, where my mother, sister and I spent our summer vacations until Hitler came to power in Germany in 1933. My father came for occasional visits (the firm had a branch in Berlin). My mother was a highly educated woman with a good knowledge of German, Latin, Polish and French and some acquaintance with Greek, Hebrew and English. I believe that she had completed an academically oriented High School in Galicia. Through her parents we maintained contact with traditional Judaism. At the same time my parents, especially my father, also were a part of the secular artistic and intellectual life of Vienna. After I had completed a public elementary school, my mother enrolled me in the Akademische Gymnasium, a fine public high school in Vienna’s inner city. There, for almost five years, I received an excellent education, strongly oriented toward Latin and Greek, until March 1938, when Hitler Germany annexed Austria. (This so-called Anschluss was, after a few weeks, supported by the great majority of the Austrian population). Until that time my favorite subject had been Latin, whose architecture and succinctness I loved. By contrast, I had no interest in, nor apparent talent for, mathematics which was routinely taught and gave me the only C in high school. During this time it was my tacit understanding that I would eventually be asked to take over the family business, a prospect which I faced with resignation and without the least enthusiasm. The Anschluss changed everything: The family business was confiscated but my father was required to continue its management without any compensation; my sister managed to emigrate rather promptly to England; and I was expelled from my school. In the following fall I was able to enter a Jewish school, the Chajes Gymnasium, where I had two extraordinary teachers: In physics, Dr. Emil Nohel, and in mathematics Dr. Victor Sabbath. While outside the school walls arbitrary acts of persecution and brutality took place, on the inside these two inspired teachers conveyed to us their own deep understanding and love of their subjects. I take this occasion to record my profound gratitude for their inspiration to which I owe my initial interest in science. (Alas, they both became victims of Nazi barbarism). I note with deep gratitude that twice, during the Second World War, after having been separated from my parents who were unable to leave Austria, I was taken into the homes of two wonderful families who had never seen me before: Charles and Eva Hauff in Sussex, England, who also welcomed my older sister, Minna. Charles, like my father, was in art publishing and they had a business relationship. A few years later, Dr. Bruno Mendel and his wife Hertha of Toronto, Canada, took me and my friend Joseph Eisinger into their family. (They also supported three other young Nazi refugees). Both of these families strongly encouraged me in my studies, the Hauffs at the East Grinstead County School in Sussex and the Mendels at the University of Toronto. I cannot imagine how I might have become a scientist without their help. My first wife, Lois Kohn, gave me invaluable support during the early phases of my scientific career; my present wife of over 20 years, Mara, has supported me in the latter phases of my scientific life. She also created a wonderful home for us, and gave me an entire new family, including her father Vishniac, a biologist as well as a noted photographer of pre-war Jewish communities in Eastern Europe, and her mother Luta. (They both died rather recently, well into their nineties). After these rather personal reminiscences I now turn to a brief description of my life as a scientist. When I arrived in England in August 1939, three weeks before the outbreak of World War II, I had my mind set on becoming a farmer (I had seen too many unemployed intellectuals during the 1930s), and I started out on a training arm in Kent. However, I became seriously ill and physically weak with meningitis, and so in January 1940 my “acting parents”, the Hauffs, arranged for me to attend the above-mentioned county school, where – after a period of uncertainty – I concentrated on mathematics, physics and chemistry. However, in May 1940, shortly after I had turned 17, and while the German army swept through Western Europe and Britain girded for a possible German air-assault, Churchill ordered most male “enemy aliens” (i.e., holders of enemy passports, like myself) to be interned (“Collar the lot” was his crisp order). I spent about two months in various British camps, including the Isle of Man, where my school sent me the books I needed to study. There I also audited, with little comprehension, some lectures on mathematics and physics, offered by mature interned scientists. In July 1940, I was shipped on, as part of a British convoy moving through U-boat-infested waters, to Quebec City in Canada; and from there, by train, to a camp in Trois Rivieres, which housed both German civilian internees and refugees like myself. Again various internee-taught courses were offered. The one which interested me most was a course on set-theory given by the mathematician Dr. Fritz Rothberger and attended by two students. Dr. Rothberger, from Vienna, a most kind and unassuming man, had been an advanced private scholar in Cambridge, England, when the internment order was issued. His love for the intrinsic depth and beauty of mathematics was gradually absorbed by his students. Later I was moved around among various other camps in Quebec and New Brunswick. Another fellow internee, Dr. A. Heckscher, an art historian, organized a fine camp school for young people like myself, whose education had been interrupted and who prepared to take official Canadian High School exams. In this way I passed the McGill University junior Matriculation exam and exams in mathematics, physics and chemistry on the senior matriculation level. At this point, at age 18, I was pretty firmly looking forward to a career in physics, with a strong secondary interest in mathematics. I mention with gratitude that camp educational programs received support from the Canadian Red Cross and Jewish Canadian philanthropic sources. I also mention that in most camps we had the opportunity to work as lumberjacks and earn 20 cents per day. With this princely sum, carefully saved up, I was able to buy Hardy’s Pure Mathematics and Slater’s Chemical Physics, books which are still on my shelves. In January 1942, having been cleared by Scotland Yard of being a potential spy, I was released from internment and welcomed by the family of Professor Bruno Mendel in Toronto. At this point I planned to take up engineering rather than physics, in order to be able to support my parents after the war. The Mendels introduced me to Professor Leopold Infeld who had come to Toronto after several years with Einstein. Infeld, after talking with me (in a kind of drawing room oral exam), concluded that my real love was physics and advised me to major in an excellent, very stiff program, then called mathematics and physics, at the University of Toronto. He argued that this program would enable me to earn a decent living at least as well as an engineering program. However, because of my now German nationality, I was not allowed into the chemistry building, where war work was in progress, and hence I could not enroll in any chemistry courses. (In fact, the last time I attended a chemistry class was in my English school at the age of 17.) Since chemistry was required, this seemed to sink any hope of enrolling. Here I express my deep appreciation to Dean and head of mathematics, Samuel Beatty, who helped me, and several others, nevertheless to enter mathematics and physics as special students, whose status was regularized one or two years later. I was fortunate to find an extraordinary mathematics and applied mathematics program in Toronto. Luminous members whom I recall with special vividness were the algebraist Richard Brauer, the non-Euclidean geometer, H.S.M. Coxeter, the aforementioned Leopold Infeld, and the classical applied mathematicians John Lighton Synge and Alexander Weinstein. This group had been largely assembled by Dean Beatty. In those years the University of Toronto team of mathematics students, competing with teams from the leading North-American Institutions, consistently won the annual Putman competition. (For the record I remark that I never participated). Physics too had many distinguished faculty members, largely recruited by John C. McLennan, one of the earliest low temperature physicists, who had died before I arrived. They included the Raman specialist H.L. Welsh, M.F. Crawford in optics and the low-temperature physicists H.G. Smith and A.D. Misener. Among my fellow students was Arthur Schawlow, who later was to share the Nobel Prize for the development of the laser. During one or two summers, as well as part-time during the school year, I worked for a small Canadian company which developed electrical instruments for military planes. A little later I spent two summers, working for a geophysicist, looking for (and finding!) gold deposits in northern Ontario and Quebec. After my junior year I joined the Canadian Army. An excellent upper division course in mechanics by A. Weinstein had introduced me to the dynamics of tops and gyroscopes. While in the army I used my spare time to develop new strict bounds on the precession of heavy, symmetrical tops. This paper, “Contour Integration in the Theory of the Spherical Pendulum and the Heavy Symmetrical Top” was published in the Transactions of American Mathematical Society. At the end of one year’s army service, having completed only 2 1/2 out of the 4-year undergraduate program, I received a war-time bachelor’s degree “on – active – service” in applied mathematics. In the year 1945-6, after my discharge from the army, I took an excellent crash master’s program, including some of the senior courses which I had missed, graduate courses, a master’s thesis consisting of my paper on tops and a paper on scaling of atomic wave-functions. My teachers wisely insisted that I do not stay on in Toronto for a Ph.D, but financial support for further study was very hard to come by. Eventually I was thrilled to receive a fine Lehman fellowship at Harvard. Leopold Infeld recommended that I should try to be accepted by Julian Schwinger, whom he knew and who, still in his 20s, was already one of the most exciting theoretical physicists in the world. Arriving from the relatively isolated University of Toronto and finding myself at the illustrious Harvard, where many faculty and graduate students had just come back from doing brilliant war-related work at Los Alamos, the MIT Radiation Laboratory, etc., I felt very insecure and set as my goal survival for at least one year. The Department Chair, J.H. Van Vleck, was very kind and referred to me as the Toronto-Kohn to distinguish me from another person who, I gathered, had caused some trouble. Once Van Vleck told me of an idea in the band-theory of solids, later known as the quantum defect method, and asked me if I would like to work on it. I asked for time to consider. When I returned a few days later, without in the least grasping his idea, I thanked him for the opportunity but explained that, while I did not yet know in what subfield of physics I wanted to do my thesis, I was sure it would not be in solid state physics. This problem then became the thesis of Thomas Kuhn, (later a renowned philosopher of science), and was further developed by myself and others. In spite of my original disconnect with Van Vleck, solid state physics soon became the center of my professional life and Van Vleck and I became lifelong friends. After my encounter with Van Vleck I presented myself to Julian Schwinger requesting to be accepted as one of his thesis students. His evident brilliance as a researcher and as a lecturer in advanced graduate courses (such as waveguides and nuclear physics) attracted large numbers of students, including many who had returned to their studies after spending “time out” on various war-related projects. I told Schwinger briefly of my very modest efforts using variational principles. He himself had developed brilliant new Green’s function variational principles during the war for wave-guides, optics and nuclear physics (Soon afterwards Green’s functions played an important role in his Nobel-Prize-winning work on quantum electrodynamics). He accepted me within minutes as one of his approximately 10 thesis students. He suggested that I should try to develop a Green’s function variational method for three-body scattering problems, like low-energy neutron-deuteron scattering, while warning me ominously, that he himself had tried and failed. Some six months later, when I had obtained some partial, very unsatisfactory results, I looked for alternative approaches and soon found a rather elementary formulation, later known as Kohn’s variational principle for scattering, and useful for nuclear, atomic and molecular problems. Since I had circumvented Schwinger’s beloved Green’s functions, I felt that he was very disappointed. Nevertheless he accepted this work as my thesis in 1948. (Much later L. Fadeev offered his celebrated solution of the three-body scattering problem). My Harvard friends, close and not so close, included P.W. Anderson, N. Bloembergen, H. Broida (a little later), K. Case, F. De Hoffman, J. Eisenstein, R. Glauber, T. Kuhn, R. Landauer, B. Mottelson, G. Pake, F. Rohrlich, and C. Slichter. Schwinger’s brilliant lectures on nuclear physics also attracted many students and Postdocs from MIT, including J. Blatt, M. Goldberger, and J.M. Luttinger. Quite a number of this remarkable group would become lifelong friends, and one – J.M. “Quin” Luttinger – also my closest collaborators for 13 years, 1954-66. Almost all went on to outstanding careers of one sort or another. I was totally surprised and thrilled when in the spring of 1948 Schwinger offered to keep me at Harvard for up to three years. I had the choice of being a regular post-doctoral fellow or dividing my time equally between research and teaching. Wisely – as it turned out – I chose the latter. For the next two years I shared an office with Sidney Borowitz, later Chancellor of New York University, who had a similar appointment. 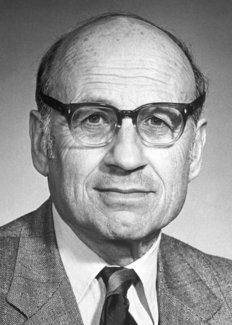 We were to assist Schwinger in his work on quantum electrodynamics and the emerging field theory of strong interactions between nucleons and mesons. In view of Schwinger’s deep physical insights and celebrated mathematical power, I soon felt almost completely useless. Borowitz and I did make some very minor contributions, while the greats, especially Schwinger and Feynman, seemed to be on their way to unplumbed, perhaps ultimate depths. For the summer of 1949, I got a job in the Polaroid laboratory in Cambridge, Mass., just before the Polaroid camera made its public appearance. My task was to bring some understanding to the mechanism by which charged particles falling on a photographic plate lead to a photographic image. (This technique had just been introduced to study cosmic rays). I therefore needed to learn something about solid state physics and occasionally, when I encountered things I didn’t understand, I consulted Van Vleck. It seems that these meetings gave him the erroneous impression that I knew something about the subject. For one day he explained to me that he was about to take a leave of absence and, “since you are familiar with solid state physics”, he asked me if I could teach a course on this subject, which he had planned to offer. This time, frustrated with my work on quantum field theory, I agreed. I had a family, jobs were scarce, and I thought that broadening my competence into a new, more practical, area might give me more opportunities. So, relying largely on the excellent, relatively recent monograph by F. Seitz, “Modern Theory Of Solids”, I taught one of the first broad courses on Solid State Physics in the United States. My “students” included several of my friends, N. Bloembergen, C. Slichter and G. Pake who conducted experiments (later considered as classics) in the brand-new area of nuclear magnetic resonance which had just been opened up by E. Purcell at Harvard and F. Bloch at Stanford. Some of my students often understood much more than I, they were charitable towards their teacher. At about the same time I did some calculations suggested by Bloembergen, on the recently discovered, so-called Knight shift of nuclear magnetic resonance, and, in this connection, returning to my old love of variational methods, developed a new variational approach to the study of wavefunctions in periodic crystals. Although my appointment was good for another year and a half, I began actively looking for a more long-term position. I was a naturalized Canadian citizen, with the warmest feelings towards Canada, and explored every Canadian university known to me. No opportunities presented themselves. Neither did the very meager US market for young theorists yield an academic offer. At this point a promising possibility appeared for a position in a new Westinghouse nuclear reactor laboratory outside of Pittsburgh. But during a visit it turned out that US citizenship was required and so this possibility too vanished. At that moment I was unbelievably lucky. While in Pittsburgh, I stayed with my Canadian friend Alfred Schild, who taught in the mathematics department at the Carnegie Institute of Technology (now Carnegie Mellon University). He remarked that F. Seitz and several of his colleagus had just left the physics department and moved to Illinois, so that – he thought – there might be an opening for me there. It turned out that the Department Chair, Ed Creutz was looking rather desperately for somebody who could teach a course in solid state physics and also keep an eye on the graduate students who had lost their “doctor-fathers”. Within 48 hours I had a telegram offering me a job! A few weeks later a happy complication arose. I had earlier applied for a National Research Council fellowship for 1950-51 and now it came through. A request for a short postponement was firmly denied. Fortunately, Ed Creutz agreed to give me a one-year leave of absence, provided I first taught a compressed course in solid state physics. So on December 31, 1950 (to satisfy the terms of my fellowship) I arrived in Copenhagen. Originally I had planned to revert to nuclear physics there, in particular the structure of the deuteron. But in the meantime I had become a solid state physicist. Unfortunately no one in Copenhagen, including Niels Bohr, had even heard the expression “Solid State Physics”. For a while I worked on old projects. Then, with an Indian visitor named Vachaspati (no initial), I published a criticism of Froehlich’s pre-BCS theory of superconductivity, and also did some work on scattering theory. In the spring of 1951, I was told that an expected visitor for the coming year had dropped out and that the Bohr Institute could provide me with an Oersted fellowship to remain there until the fall of 1952. Very exciting work was going on in Copenhagen, which eventually led to the great “Collective Model of the Nucleus” of A. Bohr and B. Mottelson, both of whom had become close friends. Furthermore my family and I had fallen in love with Denmark and the Danish people. A letter from Niels Bohr to my department chair at Carnegie quickly resulted in the extension of my leave of absence till the fall of 1952. In the summer of 1951, I became a substitute teacher, replacing an ill lecturer at the first summer school at Les Houches, near Chamonix in France, conceived and organized by a dynamic young French woman, Cécile Morette De Witt. As an “expert” in solid state physics, I offered a few lectures on that subject. Wolfgang Pauli, who visited, when he learned of my meager knowledge of solids, mostly metallic sodium, asked me, true to form, if I was a professor of physics or of sodium. He was equally acerbic about himself. Some 50 years old at the time, he described himself as “a child-wonder in menopause” (“ein Wunderkind in den Wechseljahren”). But my most important encounter was with Res Jost, an assistant of Pauli at the ETH in Zurich, with whom I shared an interest in the so-called inverse scattering problem: given asymptotic information, (such as phase-shifts as function of energy), of a particle scattered by a potential V(r), what quantitative information can be inferred about this potential? Later that year, we both found ourselves in Copenhagen and addressed this problem in earnest. Jost, at the time a senior fellow at the Institute for Advanced Study in Princeton, had to return there before we had finished our work. A few months later, in the spring of 1952, I received an invitation from Robert Oppenheimer, to come to Princeton for a few weeks to finish our project. In an intensive and most enjoyable collaboration, we succeeded in obtaining a complete solution for S-wave scattering by a spherical potential. At about the same time I.M. Gel’fand in the Soviet Union published his celebrated work on the inverse problem. Jost and I remained close lifelong friends until his death in 1989. After my return to Carnegie Tech in 1952, I began a major collaboration with N. Rostoker, then an assistant of an experimentalist, later a distinguished plasma theorist. We developed a theory for the energy band structure of electrons for periodic potentials, harking back to my earlier experience with scattering, Green’s functions and variational methods. We showed how to determine the bandstructure from a knowledge of purely geometric structure constants and a small number (~ 3) of scattering phase-shifts of the potential in a single sphericalized cell. By a different approach this theory was also obtained by J. Korringa. It continues to be used under the acronym KKR. Other work during my Carnegie years, 1950-59, includes the image of the metallic Fermi Surface in the phonon spectrum (Kohn anomaly); exponential localization of Wannier functions; and the nature of the insulating state. My most distinguished colleague and good friend at Carnegie was G.C. Wick, and my first PhD’s were D. Schechter and V. Ambegaokar. I also greatly benefitted from my interaction with T. Holstein at Westinghouse. In 1953, with support from Van Vleck, I obtained a summerjob at Bell Labs as assistant of W. Shockley, the co-inventor of the transistor. My project was radiation damage of Si and Ge by energetic electrons, critical for the use of the recently developed semiconductor devices for applications in outer space. In particular, I established a reasonably accurate energy threshold for permanent displacement of a nucleus from its regular lattice position, substantially smaller than had been previously presumed. Bell Labs at that time was without question the world’s outstanding center for research in solid state physics and for the first time, gave me a perspective over this fascinating, rich field. Bardeen, Brattain and Shockley , after their invention of the transistor, were the great heroes. Other world class theorists were C. Herring, G. Wannier and my brilliant friend from Harvard, P.W. Anderson. With a few interruptions I was to return to Bell Labs every year until 1966. I owe this institution my growing up from amateur to professional. In the summer of 1954 both Quin Luttinger and I were at Bell Labs and began our 13-year long collaborations, along with other work outside our professional “marriage”. (Our close friendship lasted till his death in 1997). The all-important impurity states in the transistor materials Si and Ge, which govern their electrical and many of their optical properties, were under intense experimental study, which we complemented by theoretical work using so-called effective mass theory. In 1957, I wrote a comprehensive review on this subject. We (mostly Luttinger) also developed an effective Hamiltonian in the presence of magnetic fields, for the complex holes in these elements. A little later we obtained the first non-heuristic derivation of the Boltzman transport equation for quantum mechanical particles. There followed several years of studies of many-body theories, including Luttinger’s famous one-dimensional “Luttinger liquid” and the “Luttinger’s theorem” about the conservation of the volume enclosed by a metallic Fermi surface, in the presence of electron electron interaction. Finally, in 1966, we showed that superconductivity occurs even with purely repulsive interactions – contrary to conventional wisdom and possibly relevant to the much later discovery of high-Tc superconductors. In 1960, when I moved to the University of California San Diego, California, my scientific interactions with Luttinger, then at Columbia University, and with Bell Labs gradually diminished. I did some consulting at the nearby General Atomic Laboratory, interacting primarily with J. Appel. My university colleagues included G. Feher, B. Maple, B. Matthias, S. Schultz, H. Suhl and J. Wheatley, – a wonderful environment. During my 19-year stay there I typically worked with two postdocs and four graduate students. A high water mark period were the late 1960s, early 1970s, including N. Lang, D. Mermin, M. Rice, L.J. Sham, D. Sherrington, and J. Smith. I now come to the development of density functional theory (DFT). In the fall of 1963, I spent a sabbatical semester at the École Normale Supérieure in Paris, as guest and in the spacious office of my friend Philippe Nozières. Since my Carnegie days I had been interested in the electronic structure of alloys, a subject of intense experimental interest in both the physics and metallurgy departments. In Paris I read some of the metallurgical literature, in which the concept of the effective charge e* of an atom in an alloy was prominent, which characterized in a rough way the transfer of charge between atomic cells. It was a local point of view in coordinate space, in contrast to the emphasis on delocalized waves in momentum space, such as Bloch-waves in an average periodic crystal, used for the rough description of substitutional alloys. At this point the question occurred to me whether, in general, an alloy is completely or only partially characterized by its electronic density distribution n(r): In the back of my mind I knew that this was the case in the Thomas-Fermi approximation of interacting electron systems; also, from the “rigid band model” of substitutional alloys of neighboring elements, I knew that there was a 1-to-1 correspondence between a weak perturbing potential v(r) and the corresponding small change n(r) of the density distribution. Finally it occurred to me that for a single particle there is an explicit elementary relation between the potential v(r) and the density, n(r), of the groundstate. Taken together, these provided strong support for the conjective that the density n(r) completely determines the external potential v(r). This would imply that n(r) which integrates to N, the total number of electrons, also determines the total Hamilton H and hence all properties derivable from H and N, e.g. the wavefunction of the 17th excited state, 17 (r1,…,rN)! Could this be true? And how could it be decided? Could two different potentials, v1(r) and v2(r), with associated different groundstates 1 (r1,…,rN) and 2 (r1,…,rN) give rise to the same density distribution? It turned out that a simple 3-line argument, using my beloved Rayleigh Ritz variational principle, confirmed the conjecture. It seemed such a remarkable result that I did not trust myself. By this time I had become friends with another inhabitant of Nozière’s office, Pierre Hohenberg, a lively young American, recently arrived in Paris after a one-year fellowship in the Soviet Union. Having completed some work there he seemed to be “between” problems and I asked if he would be interested in joining me. He was. The first task was a literature search to see if this simple result was already known; apparently not. In short order we had recast the Rayleigh-Ritz variational theorem for the groundstate energy in terms of the density n (r) instead of the many electron wave function , leading to what is now called the Hohenberg Kohn (HK) variational principle. We fleshed out this work with various approximations and published it. Shortly afterwards I returned to San Diego where my new postdoctoral fellow, Lu J. Sham had already arrived. Together we derived from the HK variational principle what are now known as the Kohn-Sham (KS) equations, which have found extensive use by physicists and chemists, including members of my group. Since the 1970s I have also been working on the theory of surfaces, mostly electronic structure. The work with Lang in the early 1970s, using DFT, picked up and carried forward where J. Bardeen’s thesis had left off in the 1930s. In 1979, I moved to the University of California, Santa Barbara to become the initial director of the National Science Foundation’s Institute for Theoretical Physics (1979-84). I have continued to work with postdoctoral fellows and students on DFT and other problems that I had put aside in previous years. Since the middle 1980s, I have also had increasing, fruitful interactions with theoretical chemists. I mention especially Robert Parr, the first major theoretical chemist to believe in the potential promise of DFT for chemistry who, together with his young co-workers, has made major contributions, both conceptual and computational. Since beginning this autobiographical sketch I have turned 76. I enormously enjoy the continuing progress by my younger DFT colleagues and my own collaboration with some of them. Looking back I feel very fortunate to have had a small part in the great drama of scientific progress, and most thankful to all those, including family, kindly “acting parents”, teachers, colleagues, students, and collaborators of all ages, who made it possible. Walter Kohn passed away on 19 April 2016.